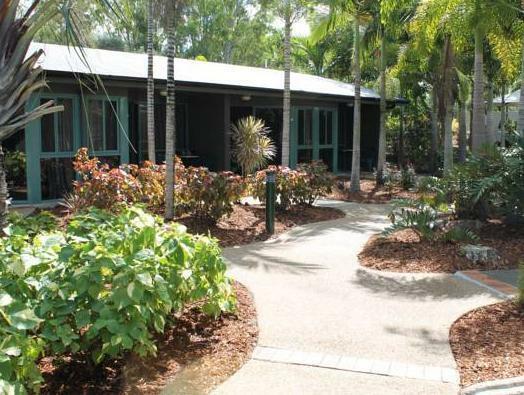 يشكل فندق Capricorn Motel & Conference Centre بموقعه الممتاز في قلب هذه المنطقة الرائعة كنقطة انطلاق ممتازة لاستكشاف المدينة. يسهل الوصول إلى هذا الفندق ذو 3.5 نجوم من المطار، فهو يبعد عنه مسافة 10. Km فقط. 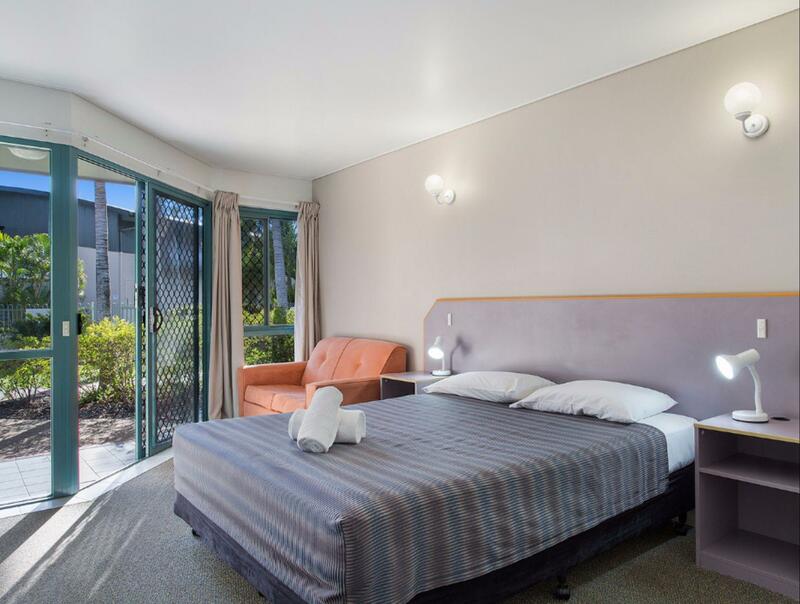 يوفر العقار بفضل موقعة الجيد وصولاً سهلاً إلى أهم معالم المدينة.
. إن Capricorn Motel & Conference Centre حريص على توفير الراحة للنزلاء، فلا يوفر الموظفون جهداً في تقديم أفضل الخدمات وضمان حسن الاستقبال. يقدم الفندق فرصة للاستمتاع بشريحة واسعة من الخدمات بما فيها: واي فاي مجاني في جميع الغرف, خدمة التنظيف يوميًا, خدمة غسيل ذاتية, مجهز لذوي الإحتياجات الخاصة, مرافق مخصصة لذوي الاحتياجات الخاصة . في Capricorn Motel & Conference Centre غرف نوم يزيد عددها عن 30 صممت بذوق وعناية لتوفر لك كل وسائل الراحة . بعضها يحتوي أيضاً على تلفزيون بشاشة مسطحة, بياضات, مناشف, اتصال لاسلكي بشبكة الإنترنت (مجاني), غرف لغير المدخنين. يمكنك طلب اللائحة الكاملة للخدمات في الفندق ومن بينها حمام سباحة خارجي, حديقة. يشكل Capricorn Motel & Conference Centre بخدماته الراقية وموقعه الممتاز، قاعدة مثالية للاستمتاع بإقامتك في المدينة. From the time we arrived to when we were left we were treated like we were the only ones on the property. We were greeted by name and treated like we were long lost friends. Continental Breakfast supplied was very adequate. Evening meal was priced accordingly and of large servings. 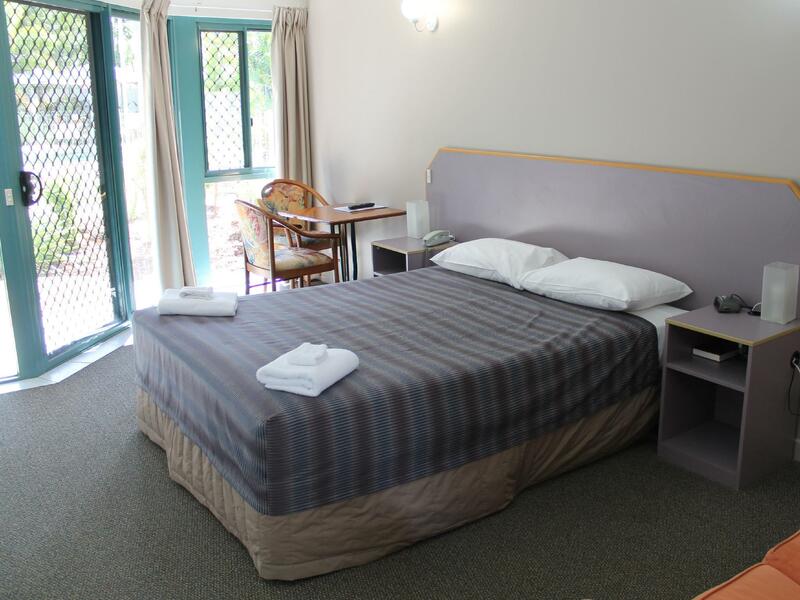 Both nights had functions and yet we didn't hear anything from our room even though we were only metres away, will continue to use this accommodation when we are next in Rocky. Wonderful and helpful staff, friendly, nothing was too much bother and very professional. Would recommend to anyone. Highly recommended, lovely friendly staff. Nice quiet spot. Nice clean rooms. Great staff. Excellent food at the restaurant. Lovely pool in summer. Very little noise from the highway. On northern side of Rockhampton, so makes for a quick getaway in the morning when heading north. Thanks Garry, Gladys and Susan for a great stay. See you again soon. Pet friendly, people friendly spacious and clean. Driving to all of CQ's attractions. It was very convenient and I really enjoyed staying here. 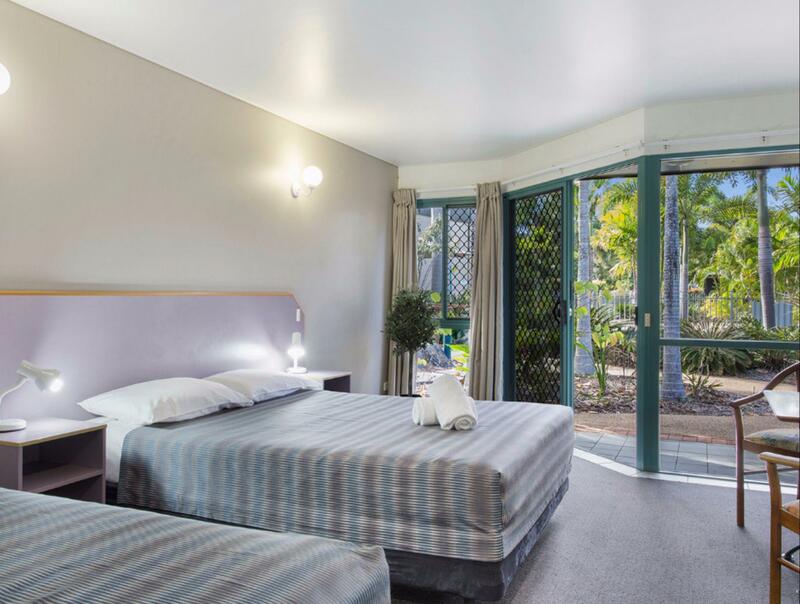 I splashed around in the salt pool, watched a brush turkey peering in our glass slider, and liked the spacious room. The restaurant is closed on Sunday so no idea about the food there. We had talked about going to the nearby Limestone caverns but, since we had a long drive ahead of us, we pushed on. The atmosphere is lovely and the rooms facing the pool are perfectly located. It is at a great spot on the edge of town so lovely and quiet. Perfect. Lovely room, run by lovely people and the free continental breakfast in the room is a great bonus. Great. We were visiting family in Rocky and it was great to have a nice room for some time out. On the return trip appreciated the trees surrounding the camp a bit more. Excellent, worth the price. Food is great. Staff is friendly and informative. Friendly welcome and and fast room allocation. Size of room, bed comfort and great shower flow. Great evening meal from menu and complimentary continental breakfast. Absolutely the best accommodation on our trip from Qld to Victoria and return to Townsville. 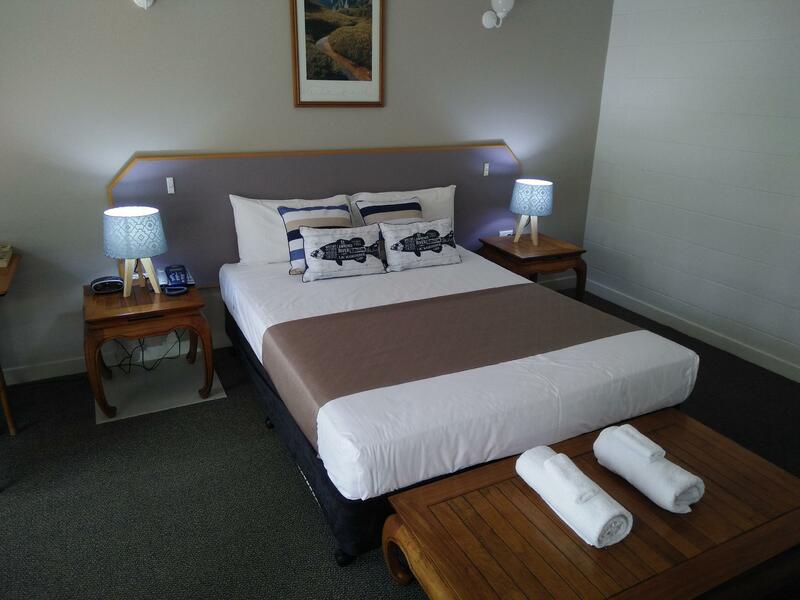 The price was economical, the room was quiet and lovely, friendly staff made it a great stop. We will book again for our return trip and stay an extra day to see some more sights. Excellent, treated very well, great room, great food. 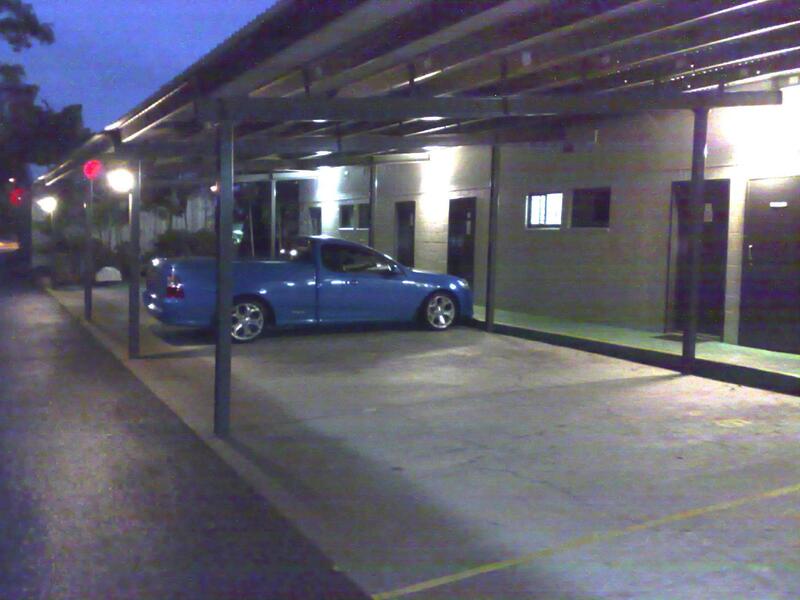 we chose this hotel as a rest stop on a long drive from north queensland to Brisbane, I like that its location on the north side of Rockhampton means I didnt have to drive through ROCKY to get to my hotel after a long day in the car. Hotel staff were very friendly and helpful, the rooms were quiet and very clean. My only complaint is that one of the windows did not have a blind so my toddler woke very early. Of all the options along the highway this seems a good choice. New years eve, not the best day of the year for a review. Quiet location even tho just off the main drag. Clean, good sized rooms. Friendly staff. Would recommend.